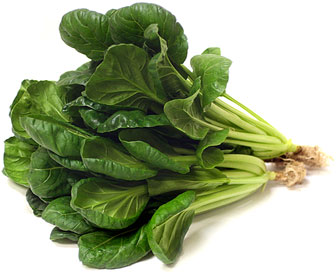 We're still getting a lot of greens from the CSA and this week, I'm featuring one that was new to us: tatsoi. A quick search of ever-helpful Google told me that it can be used like spinach in many recipes. I used it in a salad this week and loved the taste- like spring time with a hint of lemon- but I wouldn't make an entire salad out of it. 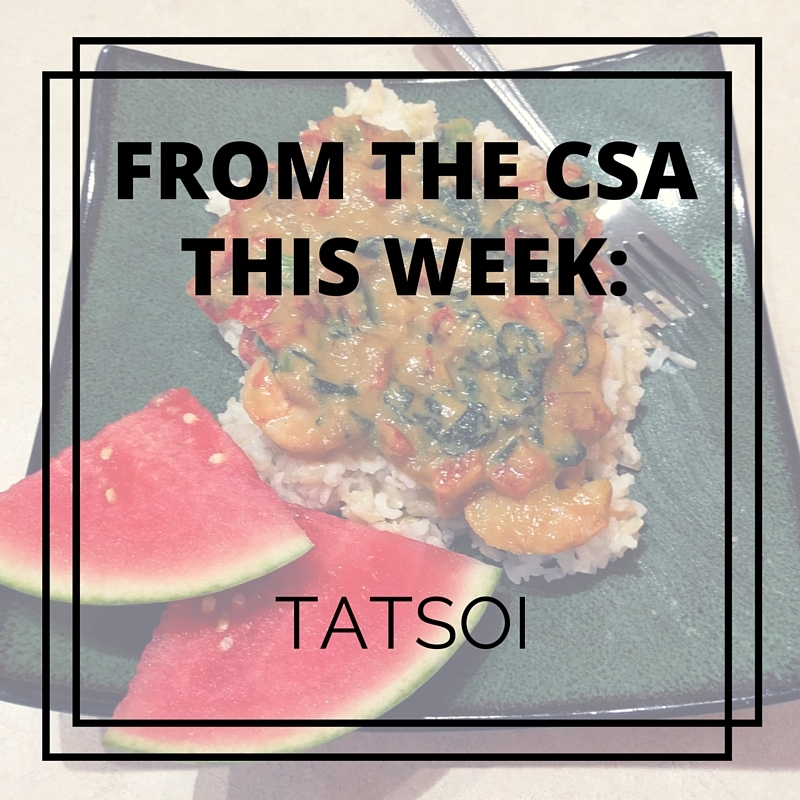 I also tried it cooked in a Thai curry and that's the recipe I'm sharing this week. 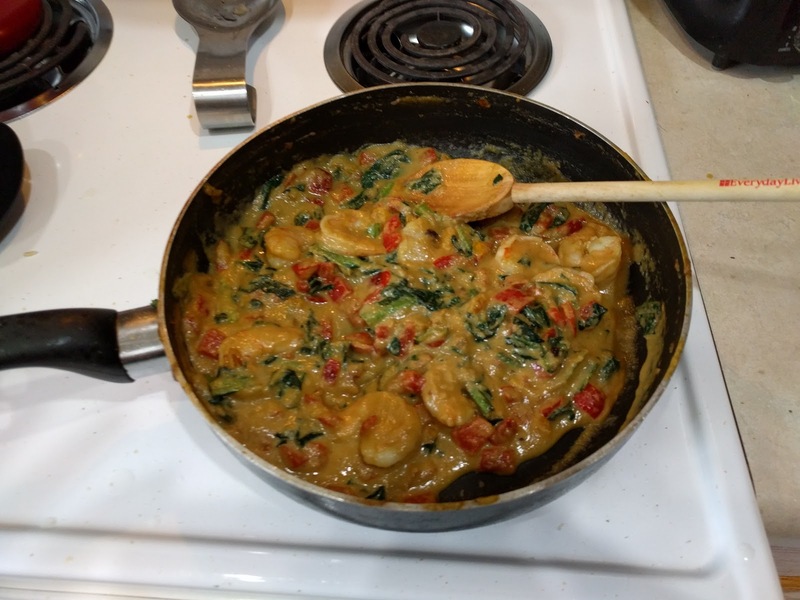 *I made this recipe out of what I had on hand and unfortunately, that didn't include the coconut milk I usually use in my Thai curries. An easy substitution that I learned while living on Kwaj was to puree one sauteed onion with a little water and a tablespoon of honey. That's puree is what you see in the picture above. Warm the olive oil in a frying pan and sautee the red pepper until soft. Add the tatsoi and toss to coat with oil. Cook, stirring frequently, until leaves are dark green and wilted. Add curry paste and mix well, then add coconut milk or substitute. Mix well and adjust seasonings to taste. 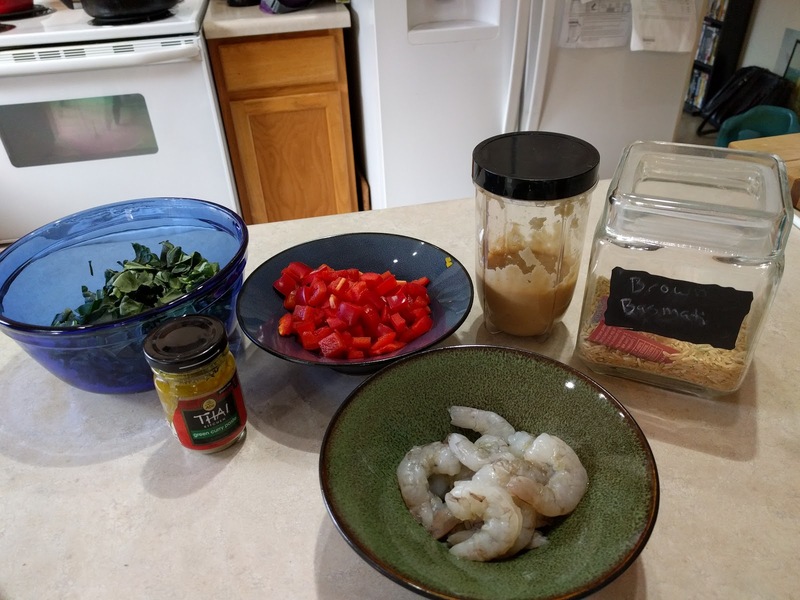 Add shrimp and cook until translucent. 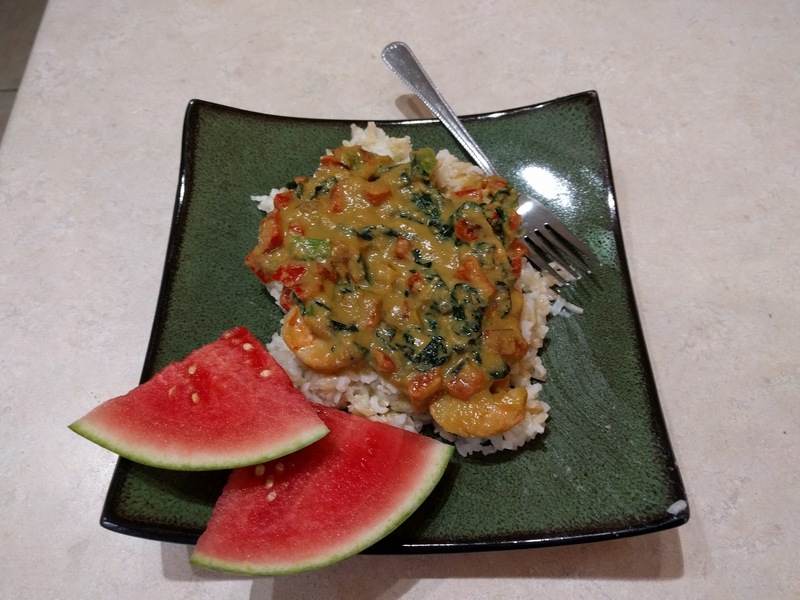 I fully expected this meal to be a little bit of a challenging one for my kids but they all liked it, even without the extra sweetness that the coconut milk usually adds. 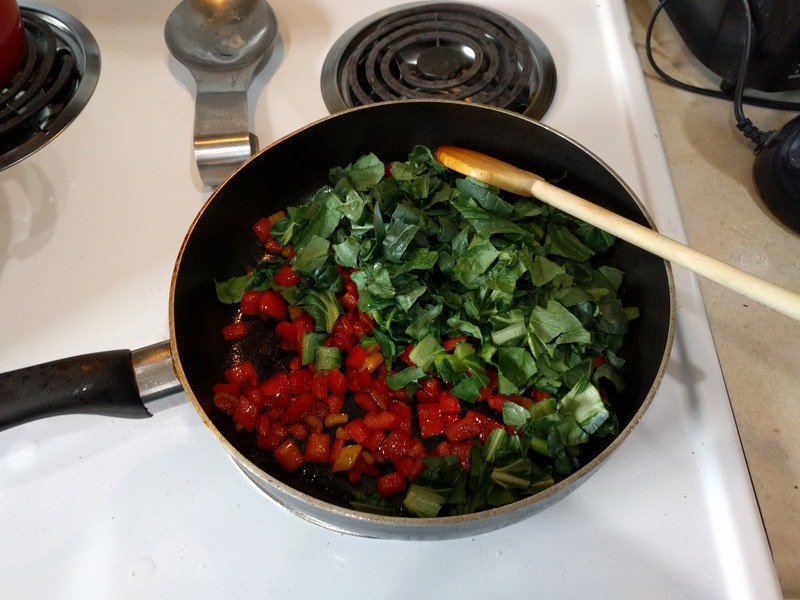 While it can be a challenge to get kids to eat a dinner that includes cooked greens, including them in a meal with a sauce that I know my kids already like has been an easy way to introduce them to our table.